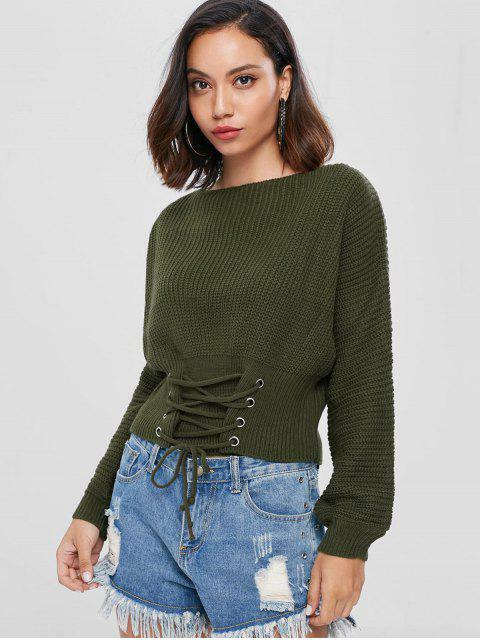 [45% OFF] 2019 Lace Up Slash Neck Bandage Sweater In ARMY GREEN | ZAFUL ..
Looks exaclty like the pictures. Comfortable and of fantastic material! 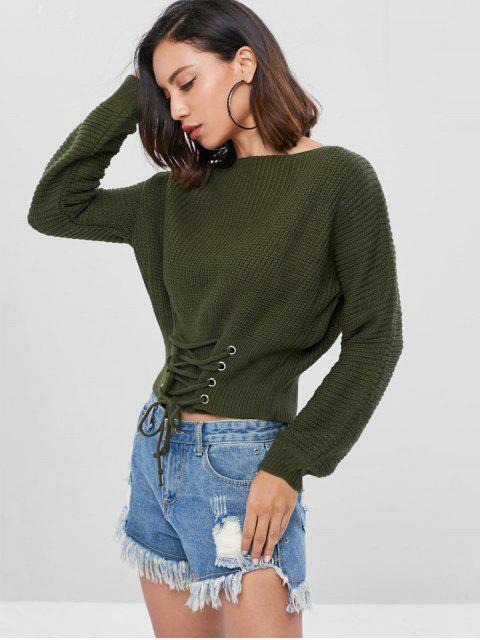 A comfy sweater in a cozy, relaxed silhouette is updated with a touch of on-trend lace-up detail at the front hem. Its extra-long sleeves contrast the slightly cropped length. Pair with your faux suede skirt for a chic chilly look.